SOMEWHAT bizarrely, after its spell in the Middle East, the European Tour heads back to Australia for a couple of weeks. It strikes this observer as being a rather odd piece of scheduling, especially when you learn that the whole circus will then head back to Qatar. It should surprise nobody then that the field for the ISPS Handa Vic Open at Beach Golf Links in Victoria is hardly the most star-studded of the season to date. Anything but, in fact. But it is one of those weeks that offers somebody an opportunity to clinch a victory and this secure a two-year exemption. It speaks volumes for the strength of the line-up that the organisers are making a huge thing of the fact that Japan’s Ryo Ishikawa is in the field for the week. There was a time when it seemed that Ishikawa just might become the first Japanese player to win a major but he has struggled to make an impact on the PGA Tour and has been utterly overshadowed by fellow countryman Hideki Matsuyama. Ishikawa, still a huge fan favourite in his homeland who is known as “The Bashful Prince”, burst onto the world golfing stage as a teenage prodigy. The 27-year-old, who has won 14 times on his home tour, has been as high as 29th in the world rankings. He has not played in Australia since the 2016 World Cup at Kingston Heath and was previously part of the International Team in the 2011 Presidents Cup at Royal Melbourne. 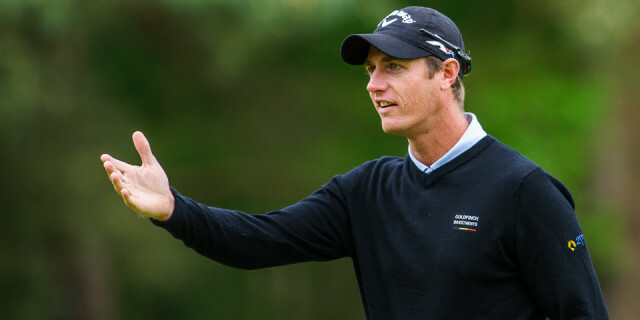 Brookhouse was also excited to announce that Belgian Ryder Cup player Nicolas Colsaerts, 2017 British Masters winner Paul Dunne of Ireland, the big hitting New Zealander Ryan Fox and Italy’s four-time European Tour winner Matteo Manassero are among the stars to have committed. Manassero lost his card in 2018 and failed to win back his playing privileges at qualifying school and is playing this year on sponsors’ invitations as he strives to rediscover the form that made him a teenage sensation. “This is the beauty of having the European Tour as our partner. Many of these men played in the World Cup last year, so we have a great depth of talent and there will be stars wherever you look in the men’s field this year,” Brookhouse said. Hmmm…if you say so, Simon. Major winner Geoff Ogilvy is looking to add a missing piece when he plays here. The 2006 US Open champion (was it really 13 years ago?) is aiming to claim a maiden victory in his home state Open after finishing as leading amateur in each of his three previous appearances in 1995, 1997 and 1998 – and runner-up to Stephen Leaney at Victoria Golf Club in 1997. Ogilvy, who has three World Golf Championships titles, has won eight times on the US PGA Tour but has decided to return to Melbourne to live with his young family. This is the first time that the tournament has been co-sanctioned by the European Tour and England’s Aaron Rai, already with a victory to his credit this season, will fancy his chances of adding European Tour title number two to his resume. He is a hugely gifted young player who has attracted a lot of attention because he wears two gloves. He possesses a beautiful golf swing, hits the ball straight and has a glorious short game. 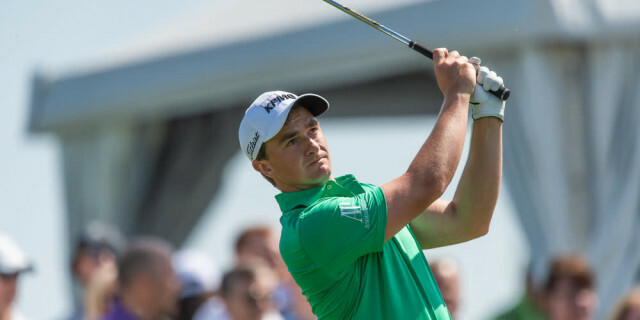 He has already stated his ambition to be a member of Padraig Harrington’s 2020 European Ryder Cup team and not many people would bet against him achieving precisely that. Colsaerts is desperately trying to kick-start his career once again. A former Ryder Cup player, he lost his way due to a combination of playing too much golf and a number of niggling injuries, but he demonstrated some positive signs last season that his best form may not be too far away. He remains one of the longest hitters on the European Tour.